She risked her life to save a human child. Pain was her reward. All her life, Emma longed for someone to love. Instead, disaster sees the brand-new bard banished from her people for long lonely years. 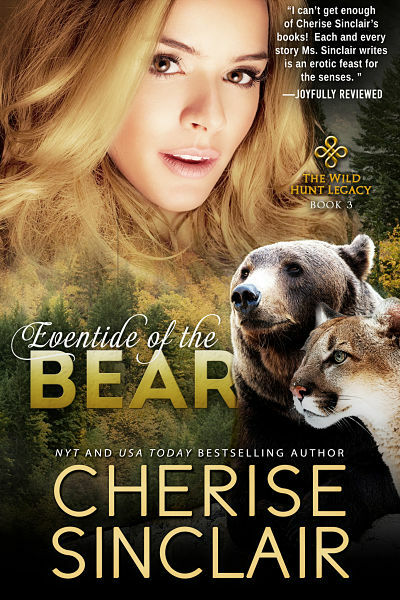 Injured saving a child, the werebear has to steal food from humans, breaking shifter Law. The territory’s Cosantir and his lethal grizzly warrior catch her in the act. To her surprise, she’s healed and welcomed. Obviously, they don’t know her past. But oh, she can’t resist being around other shifters—especially the captivatingly powerful warrior. Maybe she can stay…just a little while. As a grizzly warrior, Ben is ordered to house the pretty werebear until she heals. His littermate abandoned him, his home is empty, and he’s been alone for a long time. Intelligent and sweet and lushly curved, Emma is a delight…even if she is oddly reticent about her past. Although having sworn off females, he’s sorely tempted by this one. Damned if he doesn’t want to keep her, secrets or not. Females were trouble. Years past, one split Ryder from his littermate. Now the panther shifter is returning to Ben, bringing his cub with him, a four-year-old he stole from the abusive female. To Ryder’s annoyance, his brother is sheltering a wounded bear. A female. Even worse, she’s beautiful and gentle and loving—damned if he’s going to fall for that act again. But when the dark of the moon arrives and death reigns supreme, he’ll discover that not all females are alike. 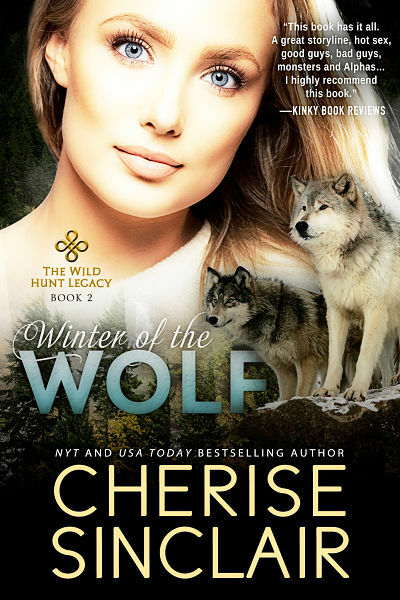 In a world filled with hellhounds and pixies, can three lonely shifters and one silent cub create a new family together? The scent of cooking meat drew Emma back to the human campground. With every step, her broken leg caught on brush and downed logs. Pain stabbed into her over and over, and the agony was getting worse. The knowledge she wouldn’t last much longer was actually a relief. Since her injury half a moon ago, she’d been unable to hunt. Even going to a stream for water was almost impossible. Under her brittle, dull fur, her muscles sagged from dehydration and weight loss. She was finding it harder and harder to move. But in bear form, her animal nature wouldn’t quit, no matter the inevitable conclusion. Regret for a life cut short curled through her like wood smoke rising from a fire. She’d had so many dreams—loving mates, cublings, pleasing her clan with her songs and stories. Instead, she had caused Gary and Andre’s deaths. On the other hand, she’d rescued children from a hellhound. Maybe the Goddess would find it an adequate balance, and if not…Emma was content. Under cover of the forest, she surveyed the clearing. Two large men sat at a campfire. A hint of a familiar, wild scent caught her attention. She sniffed, but the elusive smell disappeared under the heavy odors of wood smoke and grilling meat. Despite the driving hunger, caution lent her patience. She was too weak to fight, too weak to run. Yes, patience would gain her all. Unhurriedly, the two men smothered the fire, cleaned up, and stored their food in a bear-vault. Rather than erecting a tent, they simply stripped and climbed into sleeping bags. Long and long, she waited. An owl hooted from nearby. She caught the scent of a skunk, probably a scavenger like her. A weasel passed by, probably after the tiny shrew in the leaf litter. The men’s breathing slowed. They were asleep. 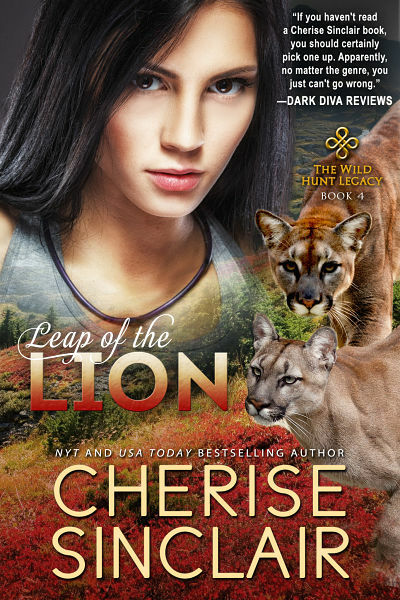 Slowly, she entered the clearing, holding her injured rear leg up to eliminate any noise. Step by step, she advanced. The container lay on its side under a tree. She hesitated, fighting the fiery throbbing in her leg and ache in her left forepaw. Where was the coin or key to open the metal-sided canister? A pile of copper pennies caught her eye. Now she needed fingers. All she had to do was be human. As she visualized turning in a circle, a door glowed—so very dim—in the rear of her mind. The magic was dying. She was dying. She opened the door and stepped through. Magic ran over her skin in a glorious tingling that, for one wonderful second, wiped out her pain. One breath later, she stared at her fingers splayed on the sparse grass. Dirt and pine needles ground into her bare knees. Unable not to look, she tipped her head to look at her lower leg and flinched. The oozing, gaping wounds exposed the muscle and the jagged ends of bones in a horrifying, agonizing mess. As she reached for the food container, her shattered leg grated as if massive nails were being hammered into the bones. She clenched her teeth as tears flooded her eyes and dripped onto the dead leaves and into the dirt. “Child.” The low voice came from behind her. No, no, no. The men were awake. She jerked around. Her broken leg caught, twisted. Oh, Goddess. As agony overwhelmed her, she lost her grip on her shape and fell through the door to the wild. Her flesh blurred, transformed. Fur. Fangs. Claws. As the pain ebbed, horror filled her. She’d trawsfurred in front of humans. Too late. She spun around. Bear instincts took over. She rose, trying to balance on one leg, and let out a roar of anger. Instead, an answering growl came from the side. Another bear. The bear hit her shoulder and knocked her off her paws. Before she could move, the massive grizzly flopped across her, driving the air from her lungs. Panicking, she struggled, grunting and growling. Fearlessly, the human went down on one knee beside her head. He caught her muzzle in an unbreakable grip and forced her to meet his gaze. His eyes had turned black as a winter’s night. “Trawsfur.” His voice held the power of the God. A force in her head pushed her through the door to human and locked it behind her. Her fur, her claws, her size melted into a human frame. He’d forced her to shift. How could he…? New fear struck. She couldn’t breathe. The man shook his head. “Remove yourself, Benjamin, before you suffocate her. With a growling snort of amusement, the grizzly rose, shook out its fur, and changed to human. They weren’t humans; they were shifters. That was the familiar wild scent she’d caught. As Emma’s leg throbbed with pain, she stared at them through tear-blurred eyes. The werebear’s cheekbone held a blue scar shaped like a knife. He was a cahir, sworn to protect the clan. And the other male? Only one type of Daonain held the power of transformation. He was a Cosantir of a territory and Herne’s representative on earth. Her doom had found her. She closed her eyes and inhaled, knowing her breaths could now be counted on one hand. And despite her pain and sorrow, the air was sweet, fragrant with evergreen and wood smoke, and the scent of other shifters. Truly, she was blessed. Her death would be quick at the hand of the Cosantir, and…she wouldn’t be alone. She struggled to sit up as the werebear approached. The male—Benjamin—was huge. Over six-five. His straight brown hair was cut to ear-length and shorter than most shifters preferred. Curly chest hair made a triangle over his thick pectoral muscles. His angular features were big-boned, his jaw square and strong. Not handsome, but oh, far too compelling. She glanced at Ben’s jeans. Clothes would be a handicap if he shifted back to bear. He’d have to remove the jeans first or be tangled up until he could rip them away. She was naked, so she could trawsfur to bear and try to escape. Without thinking, she edged slightly away. A mountain lion? The chill came from more than the frosted grass under her body. 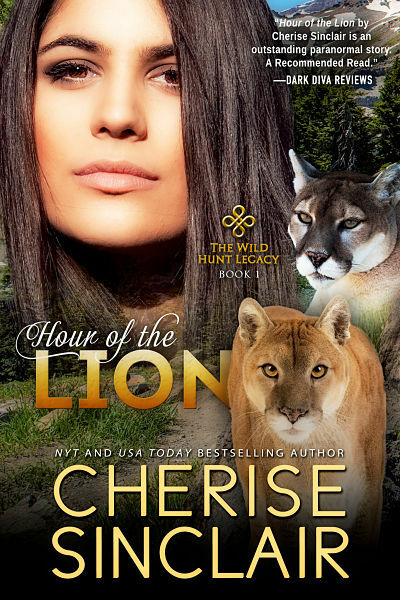 On three legs, she couldn’t escape a lion. Or the grizzly, either. So she’d die. Please, let her at least maintain some dignity. But fear and pain were tearing at her resolve. Averting her face, she blinked back tears. “Indeed, I have the same question.” The Cosantir’s resonant voice held a faintly clipped British accent, a marked contrast to the bear’s slow drawl. He carried two straight pieces of wood, each covered with a ripped-up T-shirt. He set one on each side of her broken leg. “You call that first aid?” Ben protested, although he held the braces in place as Calum secured them with more strips of cloth. Her whole leg felt submerged in fiery lava. As the bindings tightened, her agony grew. Hands fisted, she fought back scream after scream. Finally, the pain receded enough she could hear the Cosantir. “But…” She’d been banished and was to be shunned by all Daonain. Why were they even speaking to her? She touched the raised parallel scars along her jawline. Didn’t they see the marks? Know what black scars meant? This Cosantir had surely banished people before. She struggled to sit up. “Stay put, li’l bear.” Ben set his huge hand on her shoulder, and the warmth of his palm seared her frozen skin. Not die? Her breath caught on the influx of hope. The Cosantir glanced at Ben. The grizzly shifter’s square jaw went tight. “Brace yourself, darlin’. This is going to hurt.” His hands slid under her body, and he lifted her into the air. The pain rose to intolerable, and she screamed before blackness took her away.